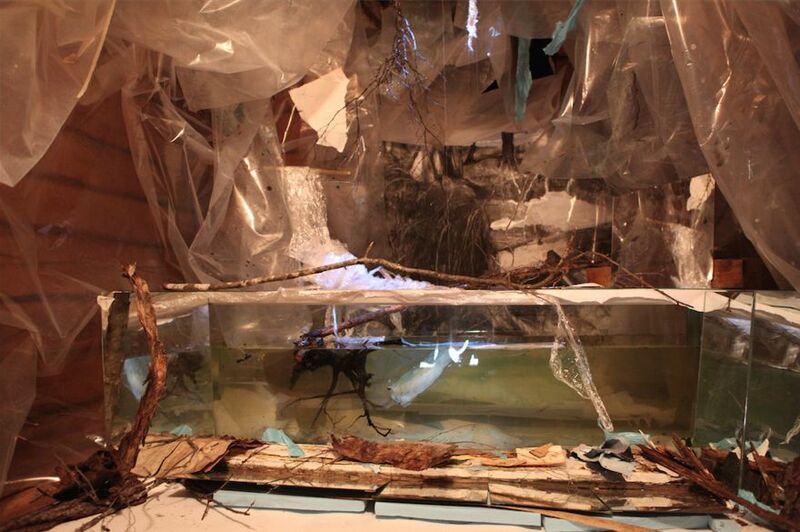 Petrochemical Bliss: 5 Stages of decay, was a site-specific installation built for the exhibition Financial Times, at Mustarinda, Finland in 2013. 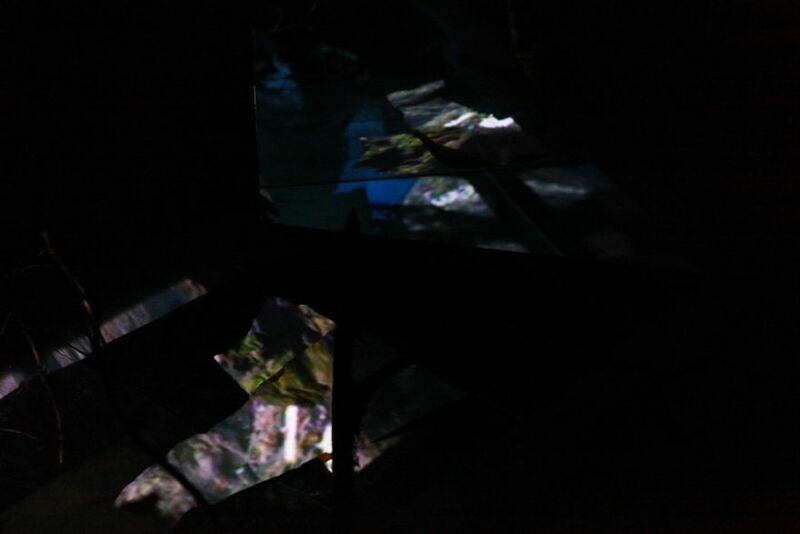 The installation was in a darkened side room of the barn. 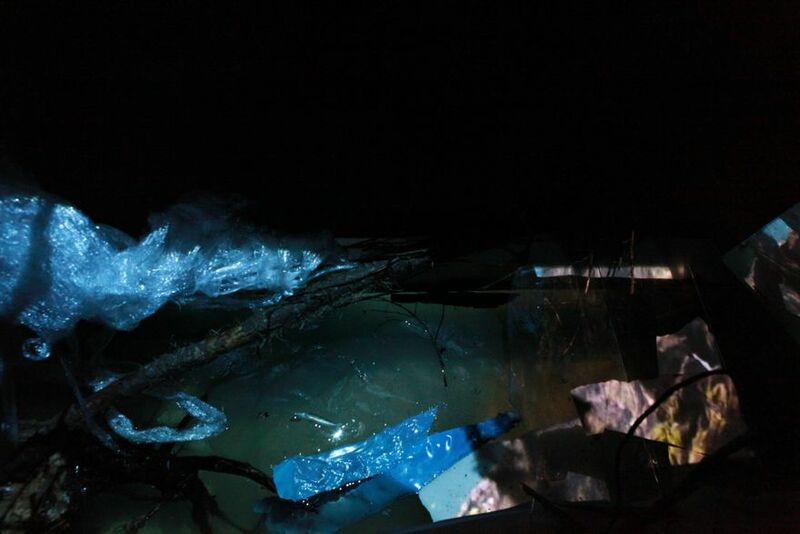 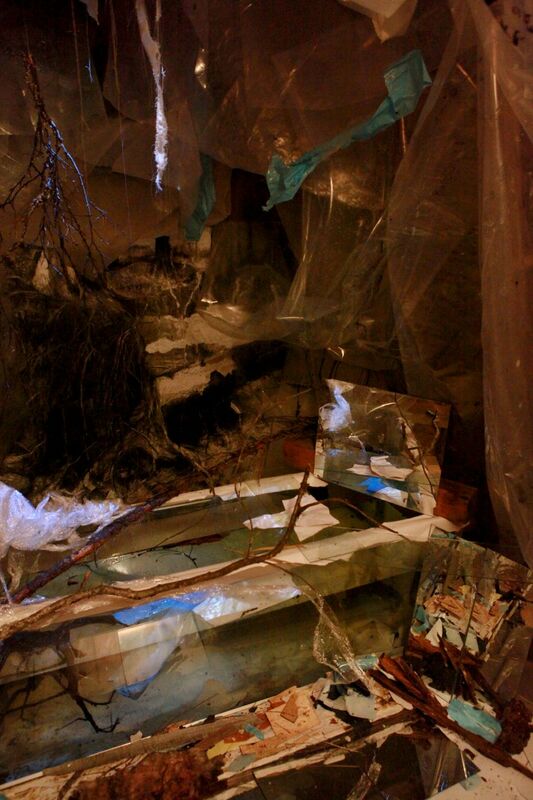 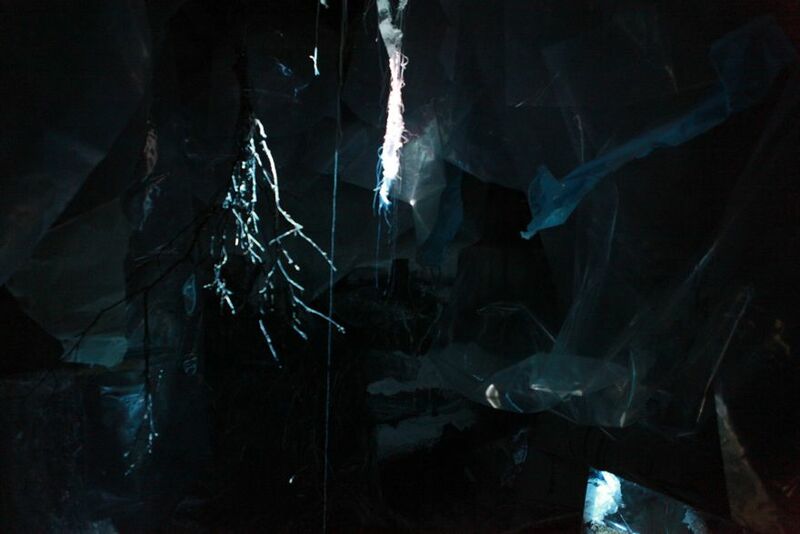 It consisted of a large charcoal drawing of a fallen tree, with cave like layers of transparent plastic. 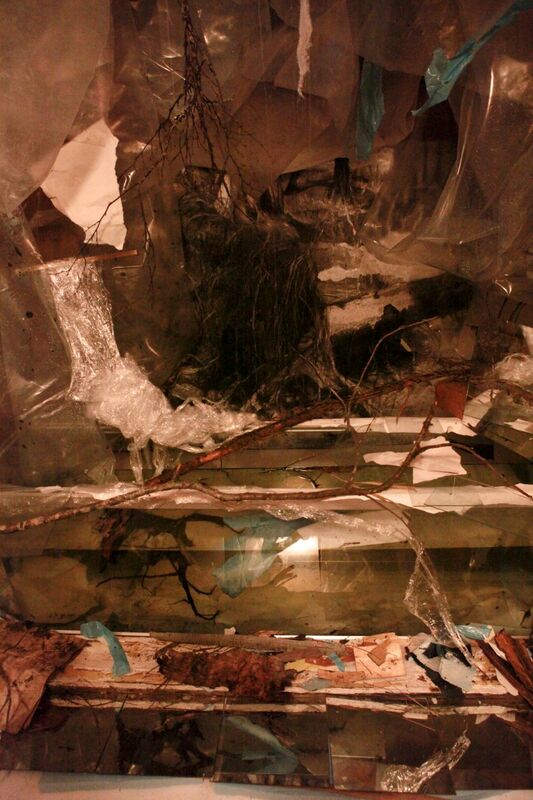 The viewer entered the space surrounded by these plastic layers to approach a large vessel of water. 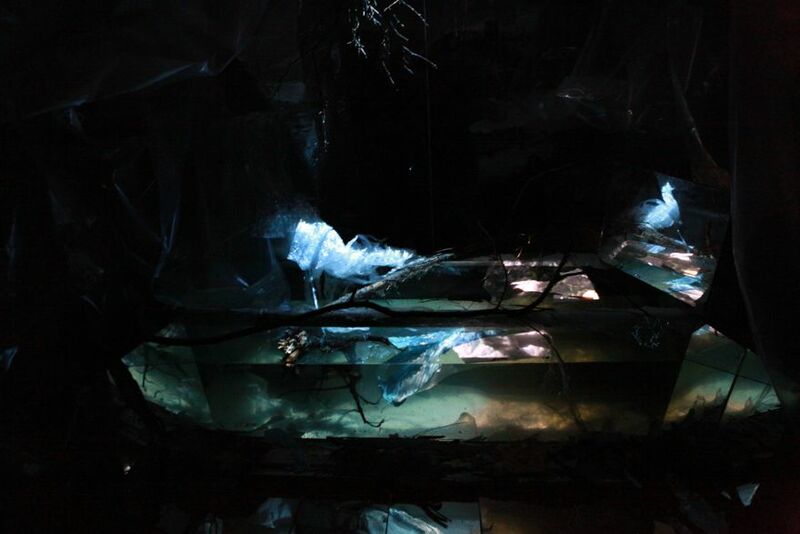 In the large fish tank moving images were projected on floating layers of organic and inorganic objects in the water which mutated throughout the exhibition.